Have you already checked on Used Kia Engine, but need a better price? We have cheap Used Kia Engines that run. Shipping is FREE to US and Canada, comes with real-time tracking and personalized service at no additional charge. Welcome to AutoUsedEngines, a family owned business quietly running the top Used Engine dealership in the US. Do you expect your Kia to last an entire generation? A Remanufactured Kia Engine might be the best fit. If your expectations are for years or even another generation, a Rebuilt Kia Engine can fit your budget. 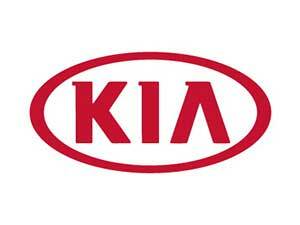 We can source low-mileage Used Auto Engines for later model Kia from reliable sources. All have warranties, most come with a money-back guarantee and special services are no additional charge. We have hundreds of Rebuilt Kia Engines or Remanufactured Kia Engines available for a plethora of auto repair goals. Check out the warranties! A money-back guarantee and REAL TIME tracking on shipping are included. Call with your VIN to check on yours. We can help meet your budget with a Used Engine for the job. Need help after hours? Call and leave a message. It’s not so much about your car as it is your life. We gave thousands of Auto Engines ready to ship. If you drive a Kia Sportage, for example, you’ll find our inventory suits the availability of 2nd generation Sportage models, like a Pre-Owned 2.0 L Beta Engine sold within a 2005 Sportage or an Engine for a 2015 model that was sold with a 1.6 L turbo charted Gasoline Engine. We can source them all with our digital catalog and it’s instant. We are more transparent than any other used engine dealer. We let you decided and you are not jolting later by having been uninformed. This one is about your life, not just your car. Avoid excessive mark-ups on prices, avoid high pressure sales that aren’t familiar with what actually gets shipped and you should definitely avoid high volume dealers that ship out low-quality products that ultimately extend your auto repairs. For more than three decades our family has acquired, repairs and procured deliver of client-specific auto engines that get the job done. Nothing replaces a trusty mechanic, but when it comes to getting the right Engine, it’s imperative that the shipper know what they’re doing. When it comes down to price and reliability, it’s like the motor mounts on your car. These connections are cornerstone to holding everything together. Welcome to Auto Used Engines where you can find a good Replacement Engine for your Kia. Quotes are FREE. When you’re ready, shipping is free to US locations and comes with real-time tracking at no additional charge. Do you drive a discontinued model, like a Kia Optima? Don’t let anyone fool you into paying more for its engine, because it was discontinued. Most later model cars are manufactured with shared platforms. That means the engine you need could be extracted from Hyundai and be completely compatible with your Kia. For the Optima models, there were three different Engine types sold. The most common Engine was the 2.5 L V6 manufactured by Hyundai. You can bet its engine is found in a number of vehicles outside of your Kia model. Your VIN tells all and our automotive technicians contain the knowledge to help you discover the right engine and to help us provide the best prices possible. In addition, salvage yards and points of acquisition often save the best engines with the lowest mileage and with the best prices exclusively for our clients. That’s why you should call and check out our prices. It’s FREE and quick. Which Kia do you drive?